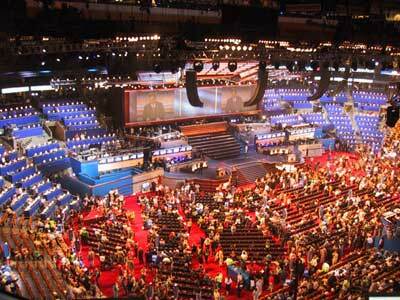 News Channel 5 KRGV reporters are at the Democratic National Convention in Denver, Colorado. And, if you missed any of the speeches last night, they are viewable at the Demcratic National Convention official Web site, click here. A great way to make use of internet technology and keep us all posted! Peace. The prime time commentators on ABC are doing a good job. The Good Morning America show is a DNC pep rally. They should at least work to appear unbiased. Is it just me or have some of the blogs gone blind? Some of these blogs have annoited themselves to be the eyes of the people so then why is no one reporting on the newly elected county treasurer David Betancourt wanting a $12,000.00 raise. Gas, groceries, healthcare, taxes everything is going up. Budgets need to be tightened. Besides in a Brownsville Herald article back in October 2006 Betancourt stated he was willing to payback the $30,00.00 in healthcare benefits that he received as a Brownsville City Commissioner despite the City Charter stating that it only provides $50.00 a month for attending meeting. Is this why he needs a raise? To pay back what he owes. What is going on in his office now?